A new on-demand healthcare service that allows you to request a house call by a nurse or doctor in the comfort of your home. The problem we solve: The U.S. healthcare system is egregiously broken! D2DUC's mission is to be part of the revolution to fix it! According to the American Medical Association and Wellness Council of America, "75% of all doctor, urgent care, and ER visits, are either unnecessary or could be handled safely and effectively over the phone or video." However, according to the Centers for Disease Control and Prevention, "ER visits increased by 20 percent in the first decade of the new millennium. That translates to about 136 million visits per year. One in 5 Americans will visit the ER at least once annually. Of those trips, only 12 percent will result in admission, meaning many of those visits, as many as 65 percent, are deemed unnecessary. The result is very costly in terms of both time and money." The bottom-line: ER visits are about 4x as expensive as Urgent Care Center and doctor's office visits and average 4-5 hours per visit. Completely unnecessary! About our solution: The reason why we continue to visit the ER instead of the Urgent Care or our Primary Care Provider (PCP) is because of convenience! This results in a waste of our time and money, and a waste of hospital resources that should be devoted to patients with emergent medical conditions. These wasted resources translate into higher: health insurance premiums, costs for medical services and taxes in order to fund public healthcare for the uninsured. 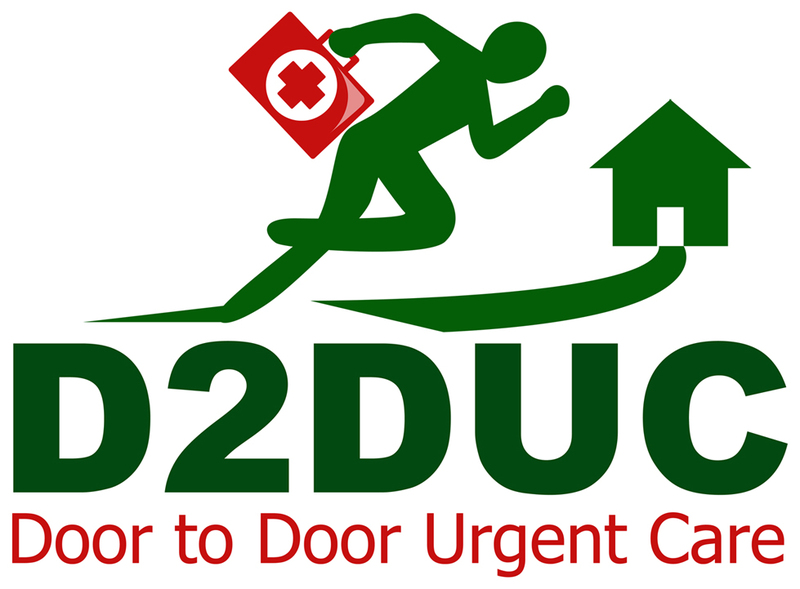 The solution is Door to Door Urgent Care (D2DUC). We provide patients with an easy-to-use mobile app and a website that allows them to request urgent care medical and mental health services in the comfort of their home or workplace, 24/7/365, and at the cost of an urgent care visit. We remove the barrier to quality, inexpensive healthcare, by placing control back in the patient's hands. The patient makes an on-demand request for service and an assessment is conducted by an RN while they are en-route to the patient's home or workplace. We have completed development of the mobile application and are 95% done with the website. All trademarks have been granted by the US Patent and Trademark Office (USPTO). We are in the process of hiring staff. We have a client base with an existing doctor's office that we are currently partnered with. We are looking for potential business partners, investors and advisors! We are open and willing to talk with those that want to collaborate with us. As the CEO of this company and someone that intends to use this service when it is up and running my #1 priority is getting this business off the ground and operational. I am open to speaking to you if you want to partner in order to help fix healthcare. Bio: Ashanti Williams founded D2DUC, LLC and serves as its Chief Executive Officer. As the Chief Executive Officer, Mr. Williams is responsible for the overall direction and strategy for D2DUC, LLC. Originally from Long Island, New York, Mr. Williams upheld a family tradition of service to the nation and joined the military upon graduating high school. He served in the US Navy’s Nuclear Propulsion program aboard a nuclear powered aircraft carrier, as well as in the Army National Guard. 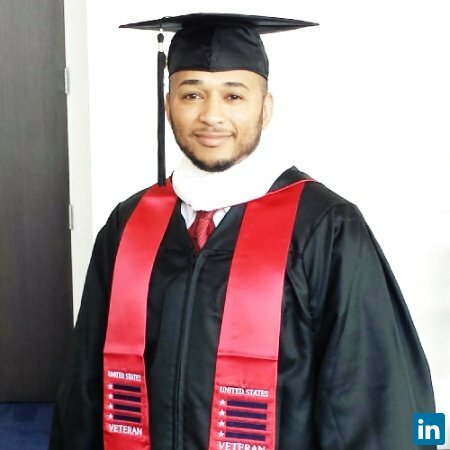 After his military service, Mr. Williams held various positions within the energy industry in both the private and public sector. Currently, he holds a position with the US Department of the Interior. Mr. Williams possesses a master’s degree in emergency and disaster management. Biography: Ashley Juste holds patient centered care at the top of her values. She received her Bachelor’s Degree from the University of Nevada Las Vegas’s highly ranked Nursing program in 2011. After graduating, Ashley went on to work at one of the largest hospital in the Las Vegas valley and has acquired invaluable experience in orthopedics, neurology, cardiology, trauma services and hospital administration. While working, she chose to advance her education and received her Master’s Degree as a Family Nurse Practitioner from the University of South Alabama in 2016. Ashley is passionate about doing her part to close the health disparities effecting the LGBTQ and minority populations and is certified in HIV Primary Care. A Los Angeles native living in Las Vegas for the last 10 years, Ashley’s diverse Guatemalan and Haitian background gives her the tools she needs to best treat our diverse patient population. She is fluent in Spanish and enjoys athletics, travel, and music in her leisure time. Location: 631 N. Stephanie St. I am a co-founder of this business and its CEO but I am also a patient and will be the first person using this service when it is up and running. We created this business because we are working professionals and my wife has had to force me to take off of work and go to the doctor, because I dread the whole process. I dread having to wait weeks for an appointment, then having to take off of work or spend my day off sitting in waiting rooms with sick people and then only getting 5 minutes with the doctor. She is a nurse and has had to first convince me to schedule an appointment, then has had to drag me kicking and screaming on the day of my appointment. To be blunt, I hate going to the doctor and I know that there are a lot of other folks out there that are like me! More importantly, I am a disabled veteran and I have to go to the doctor, so I really don't have an option. We are completely patient-centric. You, our patients, will dictate HOW and WHEN you want your healthcare. We will operate on YOUR schedule, 24/7/365. Our prices will be comparable to Urgent Care Center prices, which are at a fraction of the cost of the emergency room. With our service you will no longer have to waste your precious time and hard earned money on waiting rooms at the doctor's office or ER. Additionally, we are trained to identify and assess any other issues that are affecting your health such as your housing, food or finances, and can provide referrals to other services that will help you, if that is also what you need from us. We are the people that truly do care and passionately want to fix healthcare in this country. We need you. Providers, I am a co-founder and the CEO of Door to Door Urgent Care - D2DUC and Door to Door Veteran's Care - D2DVC, but I am also a patient. I really do appreciate you folks but I really do not like having to make an appointment weeks in advance, waiting in your waiting room to be seen and only getting to speak to you for 5 minutes. I'd much rather go to the Urgent Care Center or even the ER, than to have to wait for you to be open during normal business hours, when I need medical care. Most of the time I feel like you really don't care about me as an individual, but rather an insurance payment, another person to "treat and street." If I could request medical service from my mobile phone or computer, and have someone providing me with treatment at my home or workplace within 1-2 hours, I'd probably be willing to pay you more of my hard earned money. You'd be willing to work from home or your boat because as you know, most of the time I can treated by a nurse and a medical assistant. You'd have a lot more freedom and control over how you spend your workday....and you'd make a lot more money because your practice would be able to accomodate more patients. You could hire more nurses on a part-time contract rate, which would cut down on your costs. Not only would this improve the overall economy, but it would also entice more people to become nurses and doctors because of the great work-life balance that this type of model would provide. As a patient I would tell all of my friends and family about your service and I would be a life-long client. Potential partners, we will collect the data that you need in order to make important strategic decisions. We are the boots on the ground, providing that great medical care, face to face with the patients. Data is the currency of the future. We will have the capability to collect and provide valuable data that will identify critically undeserved or poorly researched medical demographics within populations that we operate in. Additionally, our model is based on a 360 degree, whole-person approach, which focuses on identifying other critical areas that are affecting the patient's health and providing referrals for those services. So, if the patient needs ongoing medical care for chronic conditions, we refer the patient to a partner provider, if the patient is experiencing food, financial or housing insecurity, we refer them to a partner organization. This model will allow us to build mutually beneficial partnerships with many organizations involved in addressing the social determinants of health for a patient. Also, these partnerships help us facilitate comprehensive collaborative healthcare! WIN-WIN! I have trademarks granted for Door to Door Urgent Care - D2DUC and Door to Door Veteran's Care - D2DVC. I am in the process of pursuing a patent for the mobile application and will not be making the code available until I have filed. The Centers for Disease Control and Prevention, the American Medical Association and many others have studied and validated the claims that I have made in this project. We do not anticipate needing FDA clearance for this venture. The founders do not intend to take a salary until the business is fully functional and producing a profit. Door to Door Urgent Care from Door to Door Urgent Care - D2DUC on Vimeo. Fixing healthcare is a massive mountain to climb but with your help we can absolutely do it! We are fueled by passion and are 110% committed to this mission. We will continue to work as hard as we are humanly able in order to make this business successful! Any help that you can provide is greatly appreciated. We are looking for partners, investors and advisors. If you are passionate like we are, then we want to work with you.